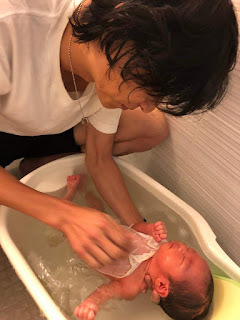 I gave he baby bathing it's first time in my life,Next day when Kaine left hospital. but in actuality so difficult. There are back and legs reverse case on the web. Now it's To me that easy way. How to do your baby bathing? Please teach me use items and method,anything.